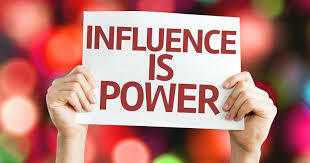 When you seek to increase your influence and reach on social media, especially on Instagram, the best bet is to work with an influencer – someone who already has an understanding of the market within their niche, and hold a lot of influence over the decisions of their followers. It is natural that you want to work with them as time goes by. However, there are problems that arise, mainly two: you only have a small budget to work with, and the other is that you have no idea where to begin looking for influencers. Even though the major stories will be influencers looking for you to pay them fees of five or six figure ranges, you can get many others for free or at a low cost. It may take more time to get them, as opposed to the usual method of calling any agency and asking their rats, but it is worth it when you find the right influencer for your brand. Here are some tips on how to find Instagram influencers for free. This is among the most affordable or free methods, though it is time consuming. After all, you cannot miss finding someone, since there are so many users on Instagram – right? The only problem would be trying to sort out through this large population of followers. In addition, not every influencer will work well with your brand, not every person behind an account wants to be an influencer (no matter how famous they may be on the platform), and they may not even use it that much. You can do some things to separate the influencers you select from other Instagram users. One is checking people who follow you, as they may have interest in your brand, or they comment and like your posts regularly. If they have a significant number of followers, such as more than 1,000 followers, they can be potential candidates. You should also look at how often they post, the things they post about, and they need to have posts that are non-offensive. Other methods include making a list of potential influencers, or use the hashtag tool to find new people you do not necessarily follow, but are a great addition for your brand. Even though searching on Instagram can produce an extensive list of potential people you can partner with, it leaves a lot of problems due to its trial and error method. For instance, it cannot tell you about the people looking for a partnership, or those that are actual influencers. That is where influencer networks step in. they offer you a chance to look up Instagram influencers for free, and you can find the ones that suit your needs. You can get these networks as well as their software in many editions and they have many features – ranging from free to premium. If you decide to go for a free version of these networks, it may not allow you to manage a whole campaign on Instagram through the software. The good news is, you can find influencers that are willing to work with your brand. Social media influencers are on a business mindset, and their mindset is that of a marketer. Therefore, you cannot just trust anyone that comes your way and promises you great things – remember fakes are abundant. For instance, there are influencers that have gained their influence through ‘buying followers’ (this is a highly risky method that is against the regulations on Instagram). Others are fake influencers, meaning there are no actual people running their accounts, but bots that use some stock photos and buy followers. The good news is that it is easy to spot these fakes, although they are annoying. In fact, there are some social tools such as Shout (click here to try it for free) that allow you to track the growth of an influencer to see whether it is organic. These tools can tell you at a glance, how many followers the influencer has, as well as the followers they gained and lost within a specific time period. The bottom line should be their follower count should change gradually – if there is a sudden increase or decrease in their follower count, it is a sign they are buying followers. Their posts can also be another sign to find out if they are genuine – spam followers never comment or like posts, so a fake influencer has their posts neglected most of the time. For instance, they have 500,000 followers, but their posts only get 10 likes or one or two generic comments for each post. If you have completed the process on how to find Instagram influencers that prove to be a good match for your brand, you can now contact them and talk to them. This might be the trickiest part of getting through to them, and the method you use will depend on the options available – whether through direct message, email or phone call. It is also best to approach many of them, and then work with those that have responded positively to you. When you are approaching them, you need to be as professional as possible. Many genuine Instagram influencers are also wary of getting into contracts that they do not trust, especially if it is from a business they do not know well. Because of this, you will need to give them as much information about what your brand is about, your overall vision, as well as the budget you are working with (so that they charge you accordingly). Note that they may fail to get back to you, which is normal. If they fail to do so, you can try using influencer networks, as these can be considered an easier way of getting them to respond instead of the normal direct messaging route. Finding Instagram influencers for free is not as easy as working with a substantial budget, but it is possible. The best choice is to cast your net as widely as possible, and see the influencer that is both best for your brand and is willing to work with you.